Wounded Army Ranger SFC Cory Remsburg came home to Gilbert, Arizona this week to a well-deserved hero’s welcome after years of rehabilitation for injuries sustained in Afghanistan. Mary Regan, pictured here with Cory, Craig and Annie Remsburg, was one of the honored guests at the celebration. 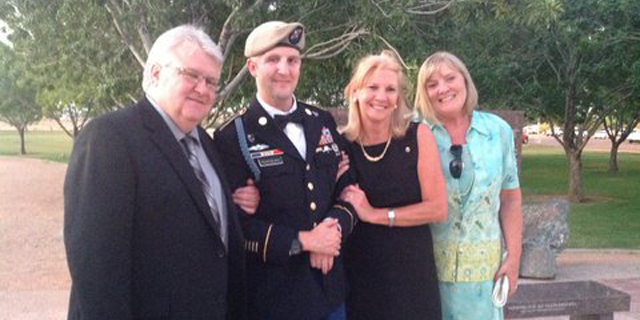 SFC Cory Remsburg is a true American hero and an inspiration. Through programs like our Wounded Ranger Assistance Program and our Ranger Recovery Program, Army Ranger Lead The Way Fund has been able to support Cory and his incredible family throughout his entire recovery and rehabilitation efforts. As long as our Special Operations Rangers and their families are in this global war on terrorism, we will be there to support them.